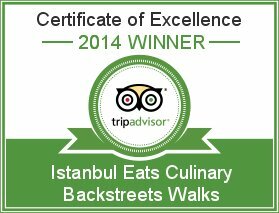 Istanbul is a dynamic city, where conditions can change so quickly and completely that it’s easy to forget the way things used to be. The new reality can be so strong and ever-present that the past feels like a hazy dream, if that. But no, this is not an article about Turkish politics. 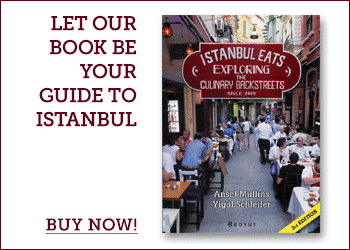 This is an article about Turkish breakfast. 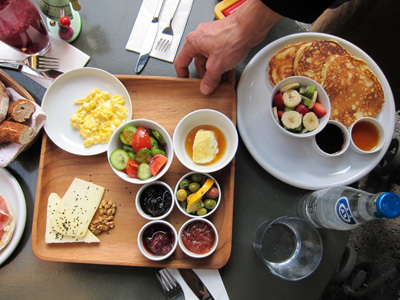 In the recent past, the humble, yet very satisfying classic Turkish breakfast – wedge of feta-like beyaz peynir, a couple of fresh, raw vegetables, some honey, jam, eggs made to order and a pile of fresh bread – has been eclipsed by two competing breakfast trends. One is provided courtesy of the breakfast mafia from the Eastern Turkish city of Van, which has planted a flag in most neighborhoods, serving up a lavish spread, including a few specialties not seen west of the Euphrates. Then there’s the Western-style brunç phenomenon, whose proliferation we credit to the House Café empire, which helped introduce Istanbulites to mimosas and pork-laden Eggs Benedict. For years these two forces have competed for the attention of Istanbul’s avid breakfast-goers, driving a wedge into a society that had up to now generally agreed on the subject of breakfast.